Flagship of Casio's Premium range, the MT-G is their Tough movement watch, using an innovative system to ensure the hands are always correctly positioned, even after a knock, and the time is always correct thanks to the tried and tested multiband 6 Waveceptor technology. The dial is fully featured, yet all the information is easy to read at a glance with the negative LCD displays and back light. World time, countdown timer, chronograph, 5 alarms and an easy to read battery power indicator are alternately visible with the touch of a button, and incredibly easy to navigate and use. The case and bracelet is stianless steel with black rubber sections, with a brushed and polished finish that feels very high quality, and is incredibly solid and reassuring on the wrist. At 47mm it is a larger case, but not at all intrusive or cumbersome on your wrist, and the black and silver detailing gives the watch a luxury feel and edge. This is a replacement for an old G-shock that I have had for some 12 years and which gave excellent service with many a bang and bump. This new watch with the mixture of stainless steel and black resin is very handsome and feels reassuringly sturdy. The radio controlled timekeeping is magic and the solar power easily keeps the charge up even in cloudy Ireland. The settings are straight forward although I did fumble around a bit to start with. I found it easier to download the manual rather than fiddle with the rather small print manual sent with the watch. A minor criticism would perhaps be the alarm signal which I find difficult to hear. Overall I am really pleased with this watch. I had been a fan of g-shock for quite sometime. When I gave up my old g-shock after its more than 9 years of service to me, I know that I have to find another g-shock. Something that is as versatile and reliable as my old one. A g-shock thats within my reasonable budget, wearable in the office or outside. It should be a design that would not go out of style. This watch ticked all the boxes that I require. Not too big for my wrist and the accent of the black makes it an attractive design. After reading the instruction, understanding how the button works is a whiz as well. I would surely recommend it. Call me shallow but I bought this watch mostly on account of its looks. The watch has a slimmer profile than my last G Shock of 8 years and a lot more detail and styling on the face, case and bracelet. The black plastic on stainless steel is an alluring combination and the four flathead screws give the watch a solid, industrial appearance. I like the idea the watch regularly synchronises with atomic clocks around and the solar cell is another nice touch. I had to remove a link to get it to fit properly, but this can be done with ease with the use of an instrument screwdriver. Just make sure you dont lose the tiny retaining clip that holds the pin in the link. The watch quickly arrived by post. I was well pleased on first sight of the watch, it was very tactile and sat comfortably on my wrist.i found the instructions easy to understand but thought the lettering could have been bigger, fortunately I had a magnifying glass handy.it takes well under an hour to put it through its paces and thoroughly understand the modes.i am very happy to have found that although the watch has more functions than most other makes the size is absolutely right for casual or smart dress.i have high hopes fo my purchase. Excellent product, this is the third G-Shock Ive had each one lasting + ten years. They can always withstand everything you can throw at them, DIY, Using power tools, diving etc, each time I need a replacement I alway default back to the G-Shock. Excellent Watch with everyday Features to use, the Watch is Exceptional value. I am very pleased with the purchase all round, and the Customer service is very good and quick delivery also. I like my watches to be a good size, easy to read, visible at night, with a date and clear second reading, and on a steel bracelet. Weight isnt an issue my previous everyday watch was a Tag Heuer Grand Carrera but Ive reached the stage where lighter is better. Oh, and a watch that can take everyday knocks without showing damage is a bonus. Dexterity problems meant that I needed to change to a watch without an awkward crown and Im fussy about accuracy so that meant adding atomic timekeeping to the list of must-haves. Then, when I started to do some research and Casio G-Shocks appeared to tick all my boxes, solar power seemed a no-brain bonus. Which leads me to the MTG-1500-1AER. Ive been wearing it for a week now I had to wait for a couple of days to get the bracelet adjusted to fit and can honestly say it does exactly what I wanted. It was easy to set up to get an initial manual time update during the day, although the advice about putting the watch on a windowsill and away from electrical devices is definitely worth following. The first time I tried the manual update it was with the watch on a table in the middle of the lounge, surrounded by an iPad and MacBook. All I managed to achieve that time was an error message! Since then, the watch has automatically updated at night without any problems and I always wear my watches to bed. Theres enough lume on the hands and watch face to read the time at night but if necessary a press of the top right button will provide extra illumination. I like the fact that the day of the week, the date, and the seconds counter theres no seconds hand are shown digitally. Im currently having to do a number of physio exercises that need timing by the second and the digital counter is definitely easier than a normal sweeping hand would be. I wanted a watch that was a little smarter than the all-digital G-Shocks and this combination of analogue and digital looks good on the wrist. All in all, Im delighted with the choice and the features. The watch is superb - easy to set up, build quality excellent - battery reached optimum charge after only a few days in Sunlight. Nightly updates seem to come in at 02:00. Only thing lacking is a sweep second hand. I actually thought from the photographs that the dial on the right might have performed this function. All other gizmos setup and tested. 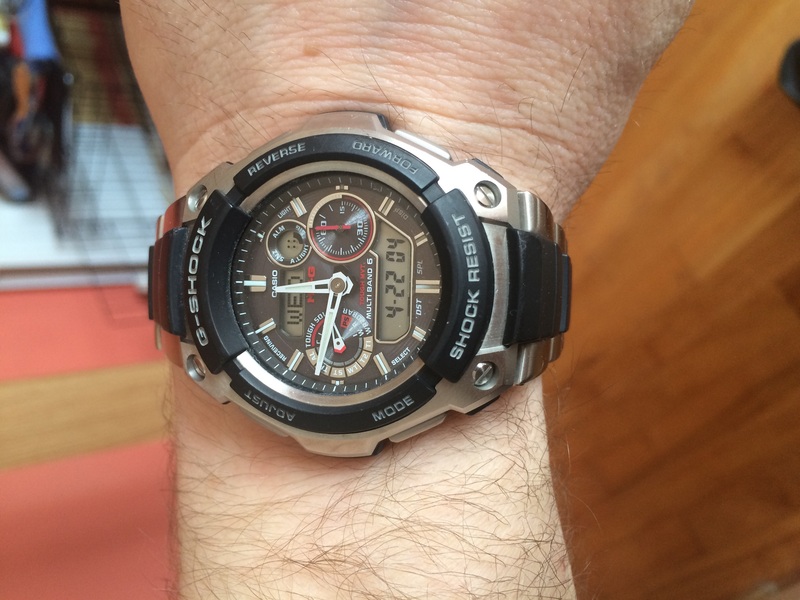 I start this review by telling you that I am somewhat of a G-Shock enthusiast and collector. I own many different models including some rare and limited edition flavors. I received my MTG-1500-1aer the morning following my order, just as promised by watchshop. It comes safely and securely packaged in a nice presentation tin. Upon opening the package, the first thing to strike me was the looks. It look elegant, smart, sophisticated, and yet tough at the same time. The watch face is smaller than I had expected, but in a good way… it doesnt look too huge as to look garish or silly, but is by no means small. 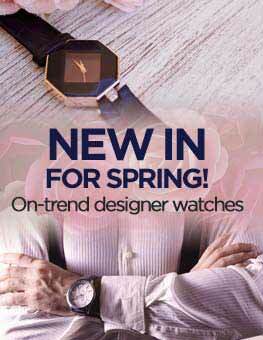 It seems to be a one watch for all occasions kind of affair. It measures up at 47mm wide, 15.9mm high, and 130g. The display is really clear and easy to read, and is the reason I chose this over the Stealth B version in black. In fact, Ive been eyeing this watch up for 2 - 3 years, and Ive been torn between this and the black one. When all is said and done, the choice between the two will always be strictly down to personal preference, but what I can say is, that no picture Ive seen on the internet really does this version the justice it deserves. Casio used to build their G-Shocks in Japan, and had unrivalled build quality, using a DLC diamond like coating on a screw back case. If you have ever handled one, you know you will have never felt a more sold and sturdy watch. I have a couple of those in my collection. This watch does not feature that solid screw back case, but, it is the first and only non screw back G-Shock that I have found to feel equally as solid and sturdy. If you are a G-Shock fan, I urge you not to let the lack of a screw back deter you away from this. You really wont notice the difference. The case and strap are stainless steel, with a very small amount of resin built in to the case to aid in the shock absorbing structure design an in the first couple of links to the bracelet. Metal bracelets are my watch band of choice, and the feel and quality of this one does not disappoint. I find it very comfortable and Im able to wear it 100% of the time, including while sleeping without any discomfort to my wrist. I was able to re-size the strap myself, but to do this you will need a suitably thin metal tool to push out the retainers between the bracelet links. I used a precision screw driver to push mine through and encountered no issues. The strap also allows for very fine tuning of the size which would allow most wearers to find a perfect size match for their wrist. I have achieved a far superior fit to any watch Ive worn with a rubber / material band. When you first pick up the watch, you will notice a reassuring solidity to the weight. I met this with two thoughts… 1, Oh nice, that feels like a quality piece of kit and then 2… but, I bet this gets uncomfortable to wear because of the heft I am however, happy to report that the watch is so well balanced in weight, between the watch and the bracelet that this isnt an issue at all. Its heavy, but not that you notice it on the wrist. Integrated analogue and digital displays for very easy access to a huge wealth of features. I like analogue watches, but I also like a lot of features that purely analogue watches cant handle. The answer is to integrate a few unobtrusive LCDs that handle everything else. In addition to three separate LCDs, the MTG-1500 also has two sub dials: one for the chronograph, and one that doubles as a mode indicator, and battery charge gauge. The battery charge gauge particularly impresses me here. On an MTG-900 that I own, and have done for around 8 years and has suffered a solar cell failure while the charge indicator did have options for high, medium, low, and empty, it seemed to me that my battery was either high or empty whereas on this one, when I received it because it had been locked up in the dark my battery meter read medium which indicates to me that there is actually some value in what its telling you here. It then really doesnt need saying, but this watch does feature Tough Solar Casios method of using light to charge up the internal battery. Many of my G-shocks have this feature, and while it has failed me on one of my oldest ones, Ive never had any other problems, and it is one of my preferred methods for powering a watch. It has a fully automatic calendar, so you will always know the correct day and date. LED illumination. A tiny yellow LED at the six oclock position illuminates the entire dial of the watch and makes it easily readable in low-light conditions. It can also be configured to activate automatically in the dark when the watch is tilted toward you at an angle of more than 40 degrees. The MTG-1500 has decent luminescent paint on the hour and minute hands, and a little on the hour indices. I have found that it is quite sufficient to be able to see the time in the dark with just the luminescent paint, however, should you need the LED Casio got the brightness of it just right. It lights up the watch face nicely, without being so bright so as to hurt your eyes. Tough Movement The MTG-1500 automatically checks each hour to see if the hour and minute hands need to be realigned, and if so, aligns them properly. Its possible for hands to get out of alignment if the watch is exposed to strong magnetism or sustains an extremely hard shock. This calibration is done using internal LEDs that, each hour, make sure the hour and minute hands are where they are supposed to be, and if not, the movement automatically fixes them. You can also correct them manually, or trigger the correction operation manually. Water resistant to 200 meters, or about 650 feet. It also features atomic time keeping. This means that the watch is always accurate, to the second, and it syncs up every night while you sleep. This is one of my favorite features. I like to know the exact time, and I like to know that my watch keeps good time. You really cant get any better than atomic time. Be warned though, if you are like me, you will find it hard to go back to wearing a non atomic watch! Six-band atomic timekeeping. That means the MTG-1500 can calibrate with every atomic clock in the world Fort Collins, Colorado Fukushima, Japan Fukuoka, Japan Shangqiu, China Mainflingen, Germany and Anthorn, England. With a signal range of between 600 and 2,000 miles per transmitter, that covers a very significant percentage of the world. Calibration happens automatically six times per day at night, and can be also be done manually. The watch will automatically select the correct frequency over which to calibrate depending on your home city. The instruction manual will tell you that you need to seat the watch on your window ledge and point it in a specific direction for successful syncing. I actually wear mine to bed, and it syncs first time, every time, without issue, and I do live in a fairly built up area too. 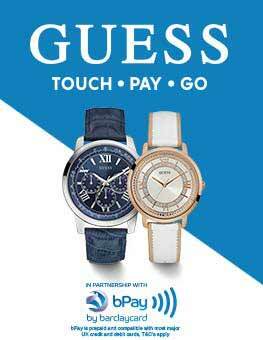 As you look at the watch, you always have the analogue there to tell you the time. In the first of the LCDs it will always tell you the day. The second LCD indicates what alarms you have set snooze alarm, regular alarm, and hourly signal as well as telling you if the auto illumination is set. From here you can press the bottom right button, to cycle the LC between telling you the time in your selected world city dual time, explained next or your other two options are to simply display the current time in a digital format, or the date. Dual time. This is different from world time which the MTG-1500 has, as well. Dual time allows you to specify a second time zone in addition to your home location which you can optionally display on the lower LCD. This is extremely useful for those of us who work with people in other time zones and need to be able to watch both time zones simultaneously without changing modes. World time. Unlike dual time, world time is its own separate mode which supports 48 cities 29 different time zones, and shows the date as well as the time. You can also hold down the upper left and right buttons simultaneously while in world time mode to swap your world time city with your home city. This is very useful for people who frequently travel between two time zones. Once the two cities are swapped, the watch will automatically start receiving whichever time calibration signal is appropriate for the new home time. Stopwatch. The stopwatch on the MTG-1500 is goes up to 23 hours, 59 minutes, and 59.99 seconds in increments of 1/100th of a second. The stopwatch sub dial at the 3 oclock position measures in increments of 1/20th of a second. You can also measure one split time. Countdown timer. The countdown timer can be set for times between one and 60 minutes. The countdown timer can also be set to auto-repeat which means it will start again at the beginning, and keep track of the number of cycles from one to eight. Five daily alarms with one snooze alarm which repeats at five minute intervals until you change modes. In alarm mode, you can also toggle the hourly chime. You then cycle back round to your main time screen. If I had to pick some negatives, and Id really be nit picking, but I would have liked to have seen a screw back case as I mentioned earlier in the review. I would have also preferred the case to be made from titanium rather than stainless steel, and I would have liked the countdown timer to be capable of running for more than 60 minutes. The first two would add hundreds, if not thousands to the price of this watch, so I can definitely take the compromise here, and on other watches that the countdown timer does do more than 60 minutes, Ive rarely, if ever, taken advantage of the feature. All in all, the go anywhere styling, and supreme functionality make this one of my favorite G-Shocks. It costs more than most G-Shocks, but at the same time, the step up in quality appears to be there to reflect the Premium tag it has been given. It certainly wont be coming off my wrist any time soon! Excellent watch. Really pleased with it. And first class service from Watchshop. A tough gadget, yet extremely sleek design, which goes well with formal or casual wear. Equipped with essential functions like countdown timer, stopwatch, 5 alarms, Neobrite and auto LED light, this watch is also solar-powered and has a multi-band radio signal receiver (Singapore is not within the range though). Most importantly, it has an analog and digital display, water resistant + stainless steel the features that attract me other than the outlook. However Im a little dissapointed with the size of the watch face, I was hoping it could be slightly bigger as that would look better on a large wrist. Overall, I believe Ive made the right choice. This is the perfect gift for my boyfriend and he loves it! A brilliant watch - bought as a 40th birthday present. Looks great - perfect for all occasions - slightly sporty buy smart as well. It was loved by the recipient! For people like me who love high-precision watches with an abundance of features, theres nothing not to like about the Casio G-Shock MTG-1500. At less than GBP300, even the price is extremely attractive for this level of technology. Great communication and very fast delivery, thank you very much !!! The watch was a good size and my partner was very pleased with it. It has so many features and all of them can be made use of. The style and colour of the watch keeps it looking classy. It is a really excellent piece - equally good with a suit or sportswear. The number of options for different countries is outstanding and I am particularly impressed with the atomic timekeeping. I didnt even have to manually adjust for daylight savings time. First of all ordered it and received it very quickly, thank you for that Watch Shop. The watch is ideal, I have always gone for Casio, as being a gadget man, they make a very varying types of time pieces. This one being no exception, excellent build, for a G-Shock not too heavy, I found it easy to use only because I own so many Casios, but the book could do with some enlarging. All in all impressed. I am loving this watch! Service and delivery was prompt..excellent piece! robust build of material, functions are easy to learn and set up but the only thing I am gutted is the model which on advert it is MTG-1500-1AER but actually the model I have received was the MTG-1500-1AJF but nevertheless I am satisfied with this piece of engineering! Excellent build quality and looks great... will last forever, never needs a battery and sets itself.. what more do you need from a watch? Great watch at a superb price. Ordered 3.00pm Thursday.... arrived 1.00pm Friday! I think this is the best service I have ever received form an online trader. Having broken a number of watches in recent years I decided to try a watch specifically designed to be a bit more rugged. This is a very smart looking watch, and not as bulky as the standard G-Shock watches - actually only a fraction bulkier than most watches. There are a lot of functions on there, which do take a while to learn, but the manual is fairly clear and easy enough to flick through to check back on something. Overall a really nice looking watch, which feels very well made, which I would recommend to anyone. I used to own an old Waveceptor which I thought was great at the time, however the MTG-1500 range in comparison is in a different league. The watch itself, although being big, is nowhere near as chunky as my old Waveceptor, and thanks to that the weight is greatly reduced. The watch does not stand out too far from the wrist but as I do not tend to wear many dress shirts I could not testify to how it fits with cufflinks or such. But I guess if your everyday attire is a suit then the Gshock range may not be what you are interested in. The hands are easily readable in all conditions and if you are familiar with G-Shocks in general you will not have any trouble going through the settings and configuring your watch. The digital display is easy to read however some may find the US date format confusing. Fortunately all of my previous G-shocks have been imports so the date format was not an issue for myself. The steel and resin strap is very comfortable. And what I find is a nice touch is the two resin "bumpers" on the clasp to reduce the amount of scratches when resting your wrist on a surface. With regards to the strap again I have a 20cm wrist and had to remove two links in order to get a snug fit. So those of you concerned about bracelt size should not worry. In all this watch is an excellent all round general use watch which I am sure will keep me going for years to come. 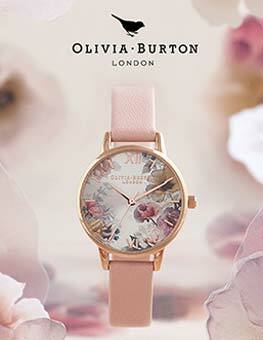 A really stunning looking watch. The stainless steel and black resin bracelet looks sporty but is also smart enough for the office. The bracelet links and clasp are top quality, built to last, and comfortable. 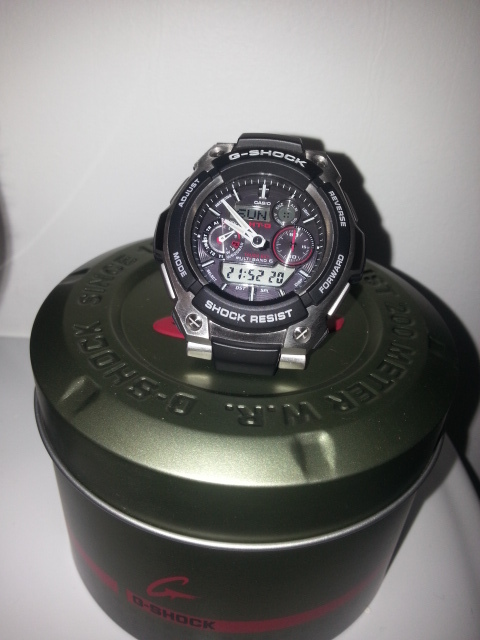 For a G Shock watch the casing is a nice size, not too thick, and does not feel heavy to wear. The main hands are easy to see and impressive, as the minute hand incrementaly moves every 10 seconds. The hands glow in the dark or alternatively can be viewed using the LED light. The small hands on the stop watch and mode indicator dials are also impressive to see as they motor increntally around. The LCD displays are not illuminated well by the LED light, the bottom LCD display can just about be made out but the upper LCD display cannot be seen at all. The LCD displays are at times hard to read as they are covered by the main hands but this is an expected downside of a combined analogue and LCD watch. Good close vision eye sight is required to read the lettering around the small left hand mode dial and to see the upper right 'alarm on' LCD indication. The instruction booklet is too small to use. Instead go to Casio UK web site and down load the A4 size manual for watch type 5055. There is also a useful YouTube video of the MTG-1500-1AJF watch, which is nearly identical to the MTG-1500-1AER watch. I did not find it difficult to master the watch modes and functions. Many of the setting operations are the same as my previous Casio LCD watch. In conclusion, I am very very pleased with this watch. I can't tell you how long I spent looking different Casio watches on the Internet before I chose the Casio G-Shock Premium MT-G Alarm Chronograph (MTG-1500-1AER) from the Watch Shop. I'd previously owned a Casio Waveceptor which has served me well for upwards of five years now without a hiccup or a battery change for that matter, given that it is solar powered as well. I wanted something that had the same radio controlled time keeping and solar power; that looked smart enough to wear in a more formal setting, yet 'cool' and rugged enough for everyday use; that had both analogue and digital displays and would switch easily between time zones. Whist many G-Shock watches offer all of these features the MTG-1500 (for me) provides the best combination of looks, ease of use, features and practicality at a price that is hard to beat. I'm not generally a fan of metal bracelet straps but the combination of stainless steel with resin insets works well. The catch on the clasp is a great feature and stops the clasp speinging open when you don't want it to. The watch is large, but not overbearing and is easy to read. The conventional black on white LCD displays are a doddle to read in bright conditions and the LED illumination is superb in the dark. I've seen some grumpy reviews from people who say that Waveceptor watches can be difficult to set up or are overly complicated; if you take some time to study the manual you shouldn't have any problems. If you want a watch with lots of features you've got to expect to have to learn how to use them. In my case once I'd set the home time zone and intiated a manual time sync it was set up and working within minutes. I've had the watch a couple of weeks now and I have to say that Iove it. I would happily recommend it. An extremely well made piece of kit, the quality of finish on both the watch body and strap is very high. All the usual features you would expect to find on a top-end G-Shock. The watch feels a lot lighter on the wrist than it looks. Small point, there is lots of minor adjustment inbetween the width of a strap link (not always the case!). Watch face is not as big as some of the equivalent solar and time syncing Citizen watches, so suits average sized wrists very well. Also doesn't stand out too far off wrist as some of the G shocks do. Quality is absolutely excellent. Lovely fit on wrist and also nice and light. Alot of features in a nice, quite compact package. If you like the looks you won't be disappointed - lovely piece of timekeeping engineering. My watch needs to be tough, because it will definitely take a few knocks whilst I'm wearing it, and so I am a fan of Casio's G-Shock watches. Having said that, this watch replaces my old G-Shock watch, whose backlight stopped working many years ago! This watch is similar to my old one, although perhaps a little more stylish with its extra dials. It also features an automatic backlight! I was unable to adjust the bracelet myself this time (I think I used a safety pin before), and took the watch to my local Timpsons, who charged £5 to do it for me. 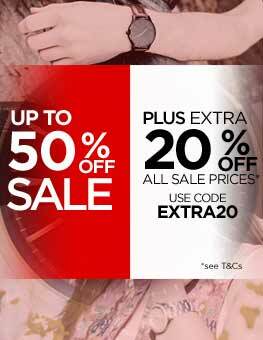 Given the big saving on the RRP by buying at Watch Shop, a price worth paying. Unfortunately, one of the links is refusing to stay in place, but I hope this is just a minor hiccup. A great watch at a great price! bought this watch from watch shop as it was by far the cheapest around. The watch is amazing. much better looking in real life. The display is very easy to read. I love it. Well pleased with my purchase. I would recommend this watch. This is a superb piece of kit. Looks good and is loaded with just the range of functions that you actually need rather than useless gimmicks. The casing is very robust, as you would expect, and the bracelet strap fastens very securely. The night light is particularly pleasing on the eye although I personally will not make use of the auto-light function that activates when you turn the watch towards your face. 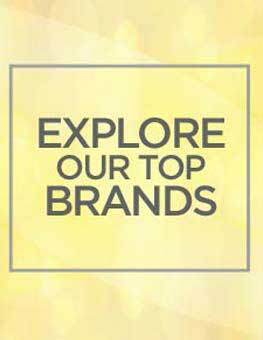 All in all a top quality product at an excellent price via watchshop. I purchased Casio MTG-1500-1AER from this shop. The service & delivery was prompt. The price quoted is cheaper than any other site. The watch is excellent, looks expensive & worth to buy. I will recommend everyone to buy either this watch or any other watch through this site only. ordered this watch on tues at 3pm and it arrived at 11am the next day. excellent service! watchshop matched the price i had seen for the watch elsewhere and even beat it by a few £'s. The watch is great, just as expected. i would probably recommend viewing the instruction manual online as i found it easier to read. i had read reviews on the watch being hard to use but so far iv found it easy to set-up and the watch functions are easy to navigate. it only took 2mins to set the watch to UK time. Excellent watch for the money and i would highly recommend!